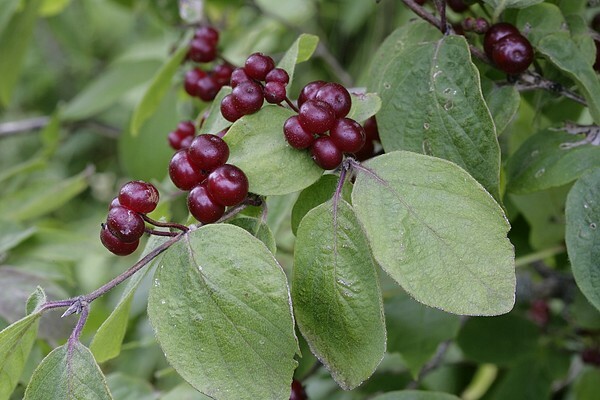 Glossy, currant-red berries that often are joined in pairs, and look quite juicy – but there are no eaters. Makes one cautious and rightly so: the fruits are quite poisonous. It is a rather common shrub in our forests; the small leaves covered with soft hairs feel velvety between your fingers. It grows in damp forests, in the juniper thickets at seashores and in wooded meadows. The bush has been called pipe bush – the stems of the branches are hollow and so pipe stems could be made without much crafting.